Home / Autograph Deal Of The Week • Fanboying! / Autograph Deal Of The Week! Nick Offerman! Anne Rice! CeeLo Green! Signed Books For Sale And Pre-Order! Autograph Deal Of The Week! Nick Offerman! Anne Rice! CeeLo Green! Signed Books For Sale And Pre-Order! For today’s Autograph Deal of the Week… We’re taking a look at some awesome signed books! 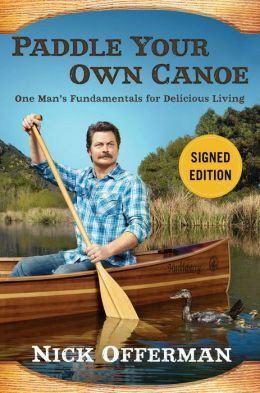 For you comedy fans and Parks and Rec peeps we have Nick Offerman’s Paddle Your Own Canoe! You can pre-order a hand signed copy now and it’s the same as the regular edition! I know! What’s more awesome is famed author Anne Rice is doing the same thing! 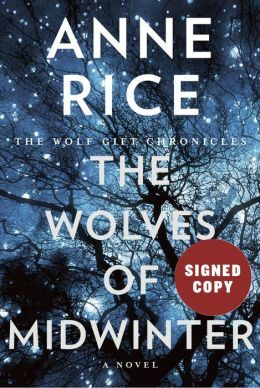 Her new tome The Wolves of Midwinter is available for pre-order and now you can get it signed. If you’ve been living under a rock Anne wrote Interview With a Vampire, Lestat, Queen of the Damned and a whole host of films. For our final deal of the week selection we have CeeLo Green’s Everybody’s Brother! 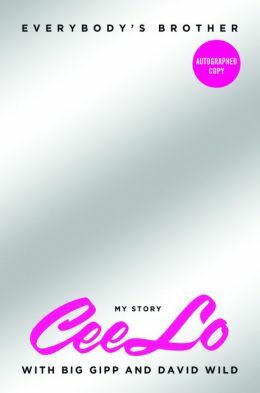 There are autographed copies available now and I hear it’s actually a pretty awesome book. Remember, as Ace says… These go quick so don’t delay if you’re interested!!! Super Short Sundays! True Blood Season 7 Premiere! Anna Paquin! Stephen Moyer! And More! Sucker Punch Star Ms. Abbie Cornish Stops and Makes CB’s Day! Drew Barrymore Signs for Fans at her latest premiere! With Amazing Photos!